This is another review that I have been meaning to do for a long time. There's just something about the mixture of fresh, sweet, fragrant, minty, and a bit of soapy scent whenever I pass by a LUSH store that always excite me and soothe me. 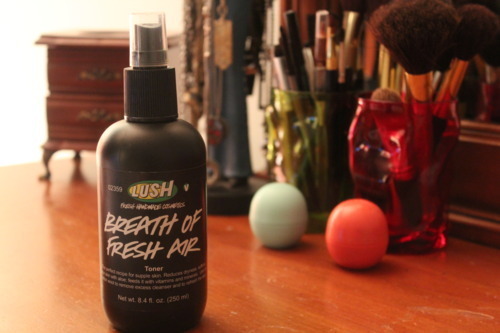 I haven't used a lot of their products but Breath of Fresh Air is a product that I absolutely love. Breath of Fresh Air is a toner that revitalizes the skin. 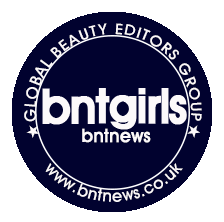 Its main ingredients are aloe, seaweed and fresh sea water that softens and rehydrates the face. Even the scent that this toner gives off is like the sea. A spray from this toner shifts me to a spot at a dock at the beach with a nice cool breeze and with the waves slapping against the rocks, spraying some sea water across my face, giving it a nice, refreshing feeling. It gives me a burst of energy once I feel it sprayed over my face. I especially recommend this during hot weather where you feel that your face is all hot and dry. It really gives you a soothing feeling. I don't only use this to rejuvenate my skin in the middle of the day but I use it too in my daily skin care routine. A toner is especially made to balance out the skin's pH level especially after washing. I always use it after I cleanse my face in the evening before I put on my favorite moisturizer. Whenever I had on heavy makeup during the day I would wet a cotton pad with the toner and swipe it all over my face to ensure that no remaining makeup is left on my face. Note: This is my honest review about the product based on my experience.